Fiber can be found in whole grains, beans, nuts, vegetables and fruits. People who consumed higher amounts of fiber, particularly from grains, had a significantly lower risk of dying over a nine-year period compared to those who consumed lower amounts of fiber, according to a new National Institutes of Health study released online Monday. Fiber, found in whole grains, beans, nuts, vegetables and fruits aids the body with bowel movements, lowers blood-cholesterol levels and improves blood glucose levels. Other studies have suggested that fiber may lower the risk of heart disease, diabetes and some cancers, but there’s been conflicting evidence on whether there’s any mortality benefit from consuming fiber. The study involved about 388,000 people who are part of a larger NIH-AARP diet and health study who were between ages 50 and 71 years old when the study began. Specifically, researchers analyzed data from 219,123 men and 168,999 women who had completed a detailed food questionnaire in 1995 and 1996 to figure out the amount of fiber consumed on a daily basis. A diet rich in whole grains, beans, fruits, nuts and vegetables improves overall health. As Michael Pollan says, “eat food, mostly plants, not too much”. 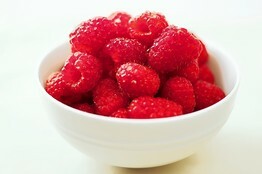 Raspberries: 8 grams of fiber per cup. 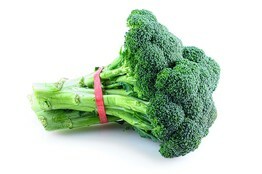 Broccoli: 5.1 grams of fiber per cup. People with diabetes, heart disease and most cancers were excluded at the study start. Researchers also excluded those who reported “extreme” intakes of fiber. 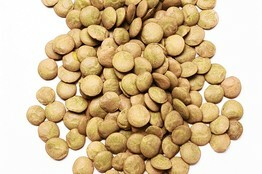 Participants’ fiber intake ranged from 12.6 to 29.4 grams per day in men and from 10.8 to 25.8 grams per day in women. Current U.S. dietary guidelines recommended people consume 14 grams of fiber per 1,000 calories consumed per dayâ€”or about 28 grams a day for a typical adult diet of 2,000 calories. Over an average of nine years of follow-up, 20,126 men and 11,330 women died. More than half of the deaths were attributed to cardiovascular disease and cancer, based on an analysis of Social Security data and other sources. Researchers divided study participants into five groups ranging from the lowest to highest dietary intake of fiber. Those who consumed the highest amount of fiber were 22% less likely to die over a nine-year period compared to people who consumed the least amount of fiber. By gender, men with the highest fiber intakes had a 23% reduction in the risk of dying, while women had a 19% reduction compared to those eating the least amount of fiber. 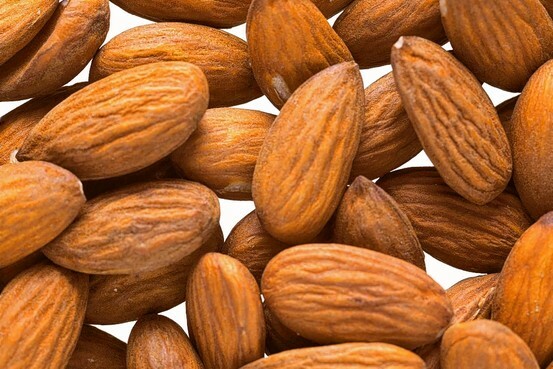 There were significant reductions in the risk of death from cardiovascular disease, infectious and respiratory diseases among both men and women, with the greatest benefit seen among those who consumed the largest amount of fiber. There was also a reduction in the risk of dying from cancer among men, but not in women. That may be because men have higher mortality rates of cancers of the head and neck, esophagus, liver, bladder and kidneyâ€”types in which the risk is lowered by eating a diet rich in fiber, says Dr. Yikyung Park, one of the researchers and a staff scientist at the cancer institute. The study also looked at the type of fiber consumed and found that the most significant health benefits in both men and women came from whole grains, as well as beans, although the benefits of beans was stronger for women than for men. There also appeared to be a benefit from eating vegetables, but improvements didn’t result in statistically significant increases in lifespan. Fiber from fruit had no impact on longevity. Researchers controlled for other factors that impact health such as smoking, exercise and body weight. Eating real food is a healthy habit to get into.